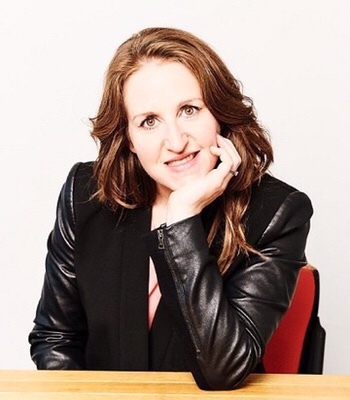 “That so many world leaders are again travelling to the World Economic Forum in Davos is, quite simply, the ultimate testimonial to the power and importance of face-to-face meetings,” says Carina Bauer, CEO of the IMEX Group, organizers of IMEX in Frankfurt and IMEX America, the worldwide exhibitions for the incentive travel, meetings and events industry. 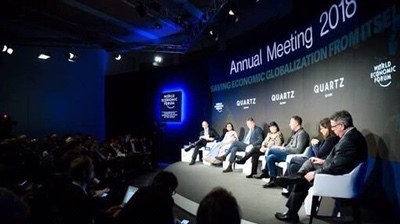 “This year’s World Economic Forum features record numbers – 340 top political leaders, 10 heads of state and government plus the greatest ever number of leaders from the G7 countries. Angela Merkel, Donald Trump, Emmanuel Macron and Theresa May are among the heads of state expected at the Forum, along with Ministers of Finance and the CEOs and Directors of the major corporations, banks and accounting firms from across the world. They are meeting with the purpose of listening, learning and forming alliances to resolve the world’s biggest problems, understand latest trends and forecasts, and to exchange bold ideas. “For so many globally influential figures to have allocated days in their tight schedules to travel and to meet their fellow leaders speaks clearly and strongly of the importance they place upon meeting in person. Renowned urbanist Professor Greg Clark, at the IMEX Politicians Forum 2017, observed that the meetings industry can be a major facilitator of urban development in areas such as jobs, sales, taxes, amenities and facilities, strategic alignment with other dynamic sectors, internationalization, identity, visibility and reputation. While the global contribution of the meetings industry has yet to be quantified, newly announced research has revealed that in the United States alone, it generates $330 billion annually. Putting that into perspective, it is larger in value than the global commercial aircraft market. However, the breadth of the discussions and the activities at the World Economic Forum stretch far beyond issues measured in purely financial outcomes, and that is a role mirrored by and reflected within the meetings industry as a whole. “Alongside international cooperation, the 2018 World Economic Forum will be focused on overcoming divisions within countries; as well as an effort to offset loss of trust and damaged relationships between business and society. Other issues on the agenda will be employment trends and rights, crypto currencies, culture, digital technologies and clean energy. “All of these issues are – or will soon – impact the global meetings industry. This means large international shows such as IMEX are both a microcosm and a proving ground for the decisions made at Davos. The fact that we too meet face to face, makes that impact, and our joint accountability, all the more real.” concludes Bauer. Next ArticleSo what’s new in Dubai this 2018?